Plato more or less founded the Western tradition of philosophical inquiry, and the spirit of Plato still looms large. Platonism (that is to say, Plato's theory of ideas) still has legs. Of course philosophers are routinely understood to be useless dreamers and visionaries — some take this as a sign that the Republic is intentionally ironic and consciously “utopian” in an unrealistic sense — and it is partly this image of the useless philosopher that makes philosophers an easy target for fashionable anti-philosophy. 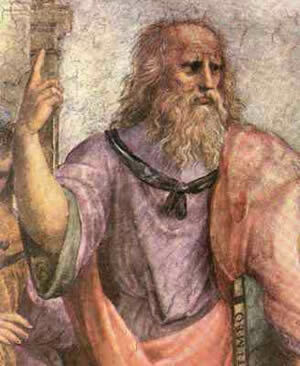 Today we should not wish for philosopher-kings, but it is revelatory of Plato’s hostility to democracy that he formulated his utopian political leadership in terms of kingship rather than in terms of the democracy that his city of Athens had made famous throughout the ancient world, and for which it is still famous today — and rightly so. But for Plato, it was democratic Athens, agitated to a frenzy by demagogues, that was responsible for the execution of Socrates, “the wisest, and justest, and best of all the men,” according to Plato. Today we should wish for philosopher-citizens, from whose ranks are democratically chosen philosopher-legislators, philosopher-judges, and philosopher-presidents, which latter appoint philosopher-cabinet members and so forth. That certainly sounds like a meritocratic ideal, and one for which I could work up a certain level of enthusiasm, though I doubt it would appeal to many, or indeed appear as even vaguely plausible or realistic by many. Again the figure of the philosopher as a useless dreamer and visionary haunts us. Plato’s vision of an ideal republic, however, is not entirely or exclusively informed by monarchical institutions. There are, after all, the Guardians. Plato’s republic includes an elite class of individuals who are reserved for political rule — the guardians. At the end of Book V Plato describes the way of life of the guardians of the republic. This doesn’t sound like a whole lot of fun, and I don’t think that many persons would enjoy this level of discipline in service to the state. Indeed, Plato thinks as much as well, since in the earlier passage quoted above he suggested that philosophers would have to be compelled to rule the state. In other words, philosophers are to be drafted against their will into service of the state. This sounds altogether too much like Rousseau talking about people being “forced to be free” and makes the modern individual more than a little uncomfortable. And all the comparisons of the guardians’ way of life with that of soldiers makes it all sound rather regimented and self-sacrificing. If you ask persons to engage in sacrifice, do not be expected to be overwhelmed by volunteers. Individuals do in fact sacrifice, we know this from countless historical examples, but it is bad form to ask for sacrifice. It is also likely to be unsuccessful. In contrast to these austere and off-putting images I would like to suggest another interpretation of Plato’s guardians. This is not an interpretation that has any textual basis in Plato’s Republic, but which is suggested by the actual lives of the philosophers who might have once become philosopher-kings, or who today might become philosopher-citizens. While Plato did not approach his guardians in this way, Plato certainly would have known the character of philosophers, and so I think that Plato may well have had another sense, which I will suggest below, in mind, even if it does not come across in the Republic. Philosophers are fascinated by ideas, and especially by abstract ideas. There was formerly also a class of natural philosophers, but natural philosophers have since become natural scientists. Natural philosophers once upon a time, and natural scientists today, are fascinated by ideas also, but more by empirical ideas than abstract ideas. The key here is the sense of wonder and fascination in things, which is coupled with an unparalleled moral imperative to understand the world on its own terms. This can sound a bit grim to speak in terms of a “moral imperative,” but there is nothing at all grim about being fascinated by ideas. Take my word for it, just as some people are excited by betting on horses, others by the prospect of an especially good meal, and a few by watching an especially hard-fought boxing match, just so philosophers are similarly excited by ideas. The philosopher delves into ideas and immerses himself in them not for his own pleasure — though there is pleasure in it — but for the sake of the idea itself. This pure pleasure at one remove is a powerful force. In the lives of philosophers it is a force expressed in an abstract realm, but in terms of human nature it is a universal called forth by different stimuli in different individuals. If the state could harness this enthusiasm for its own ends, as states today have learned to harness incentives for economic growth, then the state would be in a position to have individuals plunge themselves headfirst into the problems of state for the pure desire of thinking them through and coming to the optimal solution if there is one, or an understanding of why there is no solution if one is lacking. This, I think, is a better way to understand Plato’s guardians: men and women who are absolutely fascinated by the problems of the state and who immerse themselves in thinking through matters usually consigned to the instinctive and intuitive reactions of primarily political men. This would be a much more powerful force than I think most people would realize, like the harnessing of incentive in a capitalistic economy as mentioned above. This is the pure euphoria and joy of a nuclear scientist in the face of what to others is an unspeakable horror. So, if can imagine this, transpose this same attitude to physical theory into social theory, and this would be a response of the guardian as I would have the guardians understood. Imagine, if you can, a republic governed by citizen-philosophers — guardians who are philosophical technocrats in charge of the state apparatus. If a terrible calamity befalls the state — a destructive earthquake, a financial panic, an epidemic, etc. — instead of placing themselves in front of television cameras and emoting to beat the band, telling the victims that they feel their pain while telling the survivors that they share their joy, our Platonic guardians of the state respond by viewing the calamity as primarily an intriguing intellectual challenge to be met. How can institutions be constructed that can adequately respond to such calamities in the future? What is the most rational allocation of state resources in time of calamity? How can the needs of those adversely affected be met most rapidly and systematically? These are the questions with which our philosopher-citizens will immediately engage, and seek to produce practical results. A government by such guardians would be like government by think tank, although the thinkers would be chosen for their intrinsic sense of inquiry and abstract thought rather than conformity to any one ideological point of view, as is the case with most think tanks today. To some, the meditations of such a political think tank in service to the state and its citizens could appear cold, bloodless, passionless, and calculating. As off-putting as it sounds, the best philosophical thought has exactly this character, which is why the best philosophers are often believed to be cold and distant individuals even when they are persons of great passion and of profound feelings for their fellow man. Greatness of thought is a singular thing, and is rarely understood. In fact, it is most often misunderstood. If formulated in terms of a good analogy, it might make sense to more people. For example, someone who is a genius at picking horses at the races may not be a “nice” person, may lack social skills, may not ingratiate himself in polite company, but he is good at picking horses. And at the betting track, this is all that matters. Similarly, greatness of thought is what is needed in deliberation over the great matters of state, and the individual who has most perfected his intellect to penetrate the mysteries of these great matters may be no better company than a picker of winners at the track, but in matters of state, the likeability or unlikeability of such an individual is irrelevant. Guardians as pure philosophers might not be much fun to party with, but they would be formidable as pilots of the ship of state.